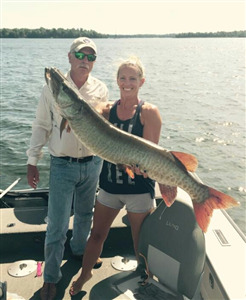 Mike and his daughter went up north last weekend in pursuit of the mighty musky. They found success with this 46 incher! The fish hit at the end of a long cast and was the toughest fight his daughter has ever had. They caught this beauty on North Twin Lake in Vilas County. 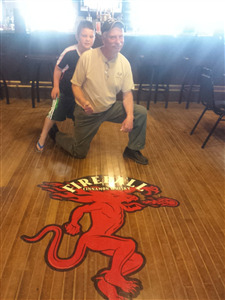 When we are turning up and doing some shots we choose chilled Fireball or Jameson. Enjoy! !